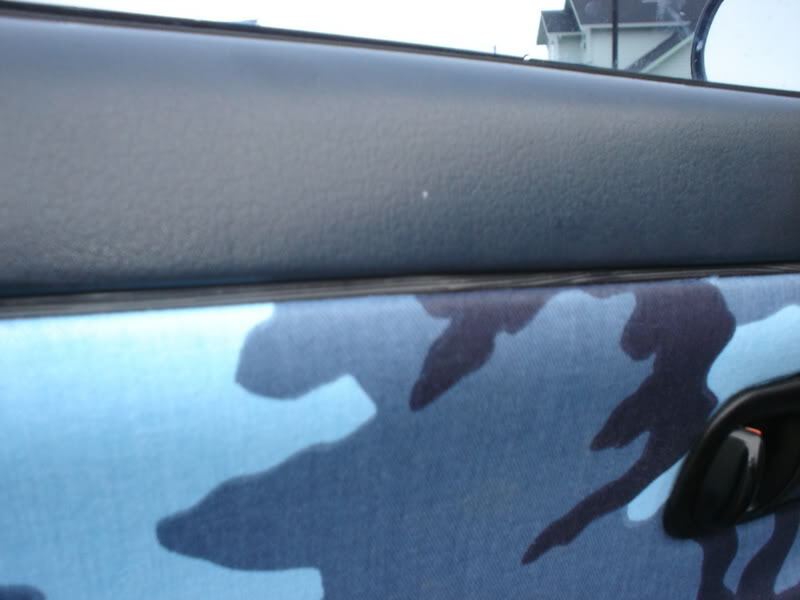 In this article we will be replacing the fabric on the door panels. This can be damaged over time or you may be looking for a new look to match your interior mods. -Panel separating tool, or a long skinny flat head. 2. 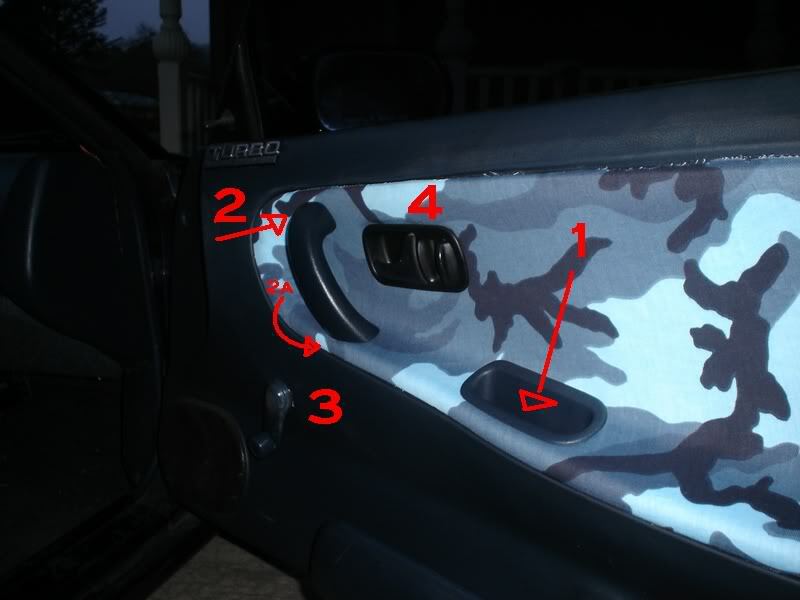 Remove the screw in the door handle and twist the handle towards you. 3. Pull the clip from the back of window crank. 5. Pry the panel out, pay attention to the location of the retainers so as not to damage the panel. 6. After the panel is removed, pull the old insert out. 7. Clean the area thoroughly. 9. Measure the panel and cut it at least 6" larger. 10. 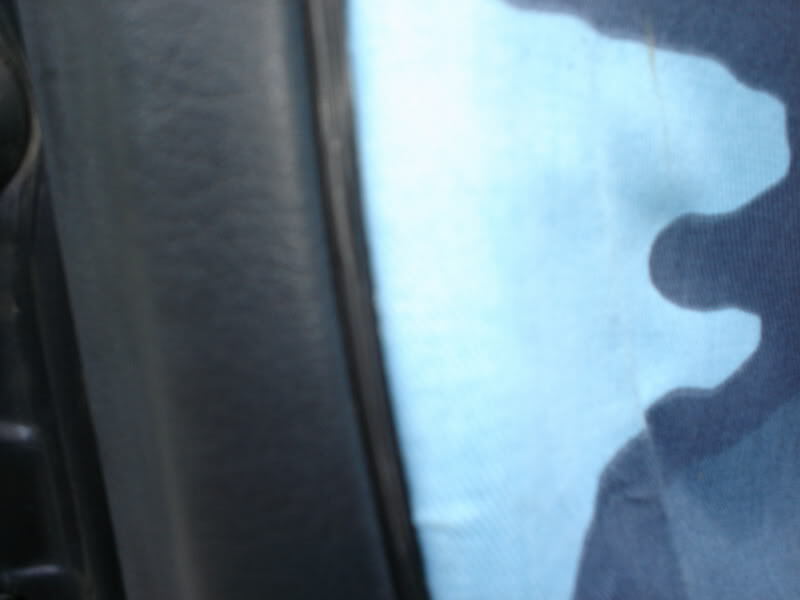 Apply the adhesive spray to the door panel, along with the back of the door panel. Note:Allow the spray to cure for the recommended time for the product. 12. Insert the vinyl cording, and trim any excess fabric.